Make a smart financial decision in your living arrangements today. Take advantage of manufactured home sales from Oaklodge Manufactured Home Community, in Pensacola, Florida. While you buy your home, lease the land and realize big savings that increase your cash flow. Great financial benefits are realized from land leasing while owning your home. When you make your housing purchase with land costs included, your total housing costs increase significantly. A lower initial investment, through leasing the land for the home, puts more money in the budget each month to save, cover living expenses, or use for extras. If you invested your savings, the earnings could offset the rent paid on the home site, further reducing monthly expenses. Manufactured homes get you the most out of your housing dollar. Construction costs per square foot for a new manufactured home average from 10 to 35 percent less than comparable site-built homes, excluding the cost of the land. Today's manufactured homes offer quality construction, modern amenities, and livability at a price that fits your lifestyle and budget. Most manufacturers offer warranties to guarantee quality and workmanship, as well as major heating and cooling systems of the home for a specified time, usually from 1–5 years. In addition, the retailer has specific responsibilities in the installation and servicing of the home. When leasing land, real estate taxes are paid by the community owner and are included in the monthly land rent. Save on your living expenses. 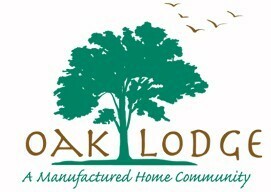 Contact Oaklodge Manufactured Home Community to buy a manufactured home on one of our wooded lots. Call us at (866) 926-9320 for affordable mobile home sales. 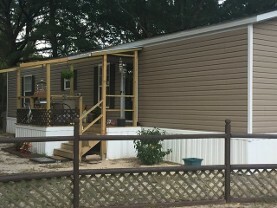 We offer some of the finest manufactured homes in Pensacola, FL.